We have waited a long time for Android Apps to make their way to Chrome OS and as of now, most are still waiting. 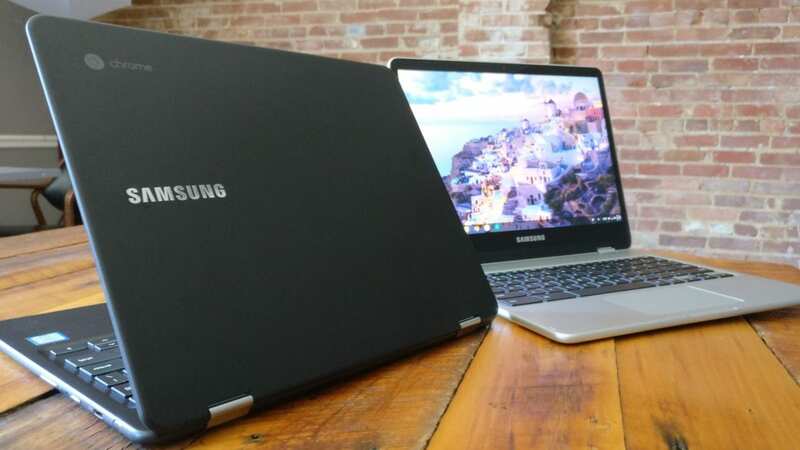 The pending release of Chrome OS 59 and the fact that the Samsung Chromebook Pro is finally making its way to consumers is a good indicator we can expect a broader release soon. Either way, you may find yourself in the market for a new Chromebook soon and Android App performance might come in to play when making your decision. Over the next few days we will be testing various apps on various devices in the hopes to help you in your purchasing decision. For now, we have a few reference points that may help us get a general idea of the state of Android Apps on Chrome OS as it relates to the processor choice. A recent test pitted the ARM-based Acer Chromebook R13 against the older Braswell chip in the Acer Chromebook R11. For comparison, the MediaTek in the R13 is quite comparable to the RK3399 in the new Samsung Chromebook Plus. They share the same Big.little ARM architecture. The only major difference is that the MediaTek has 4 cores compared to the RockChip’s 6 cores. The Intel Braswell is probably one of the most common chipsets found in today’s low to mid-range devices and offer a dual-core or quad-core configuration. The one used in the test images below is the Braswell N3060. This also happens to be the same device I am writing on as we speak. Performance wise, these two devices fall in fairly close to each other in terms of Octane scores. We tested the R13 around 9500 while my R11 will consistently get 8200. Not exactly the same but you can expect similar experiences from Chrome OS on either device. It’s not surprising the R13 performed better overall. After all, ARM chips were designed for mobile apps and even though the Intel handled most of the apps well (or at least okay) the problem is the apps that performed poorly. According to the chart, five of the apps were very bad or poor on the Braswell chip. Now I don’t know about you but I can deal with “good enough” on a device if it is isolated to a small percentage of applications. What I can’t stomach is a device performing poorly to the point of crippling the OS. But wait, there’s more. 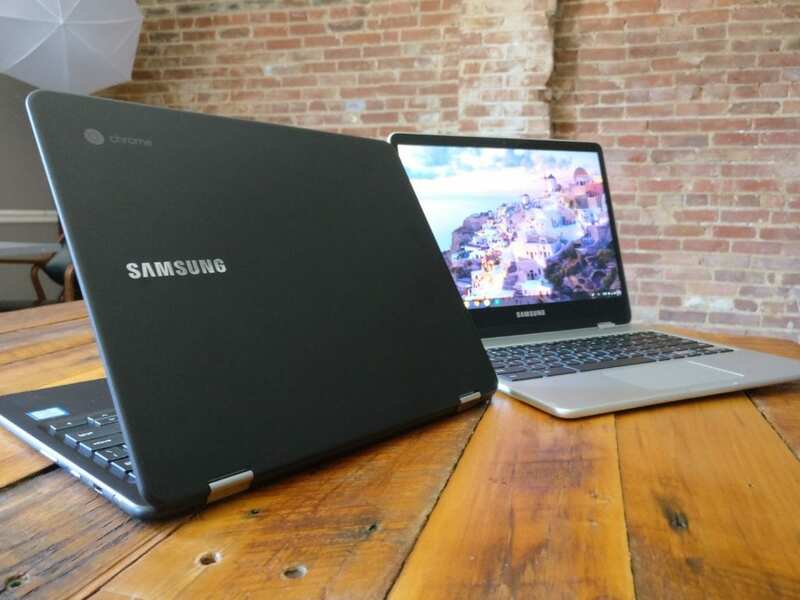 These aren’t definitive results when it comes to deciding which Chromebook to buy. Braswell chips are on the way out the door. A new line of Apollo Lake-based Chromebooks will soon be on shelves and we already have access to more powerful Skylake Core devices. Unfortunately, there isn’t a simple answer. Dieter Bohn of The Verge has drawn the line in the sand and warned consumers to avoid purchasing the Intel Core m3 Pro until Google and Intel can work out some serious bugs in the OS. On the other hand, we have the Samsung Chromebook Pro in the office and it is performing admirably. That’s not to say we won’t run into some rough patches. We’ve been pushing the Pro pretty hard and it has yet to even flinch. But, with over one million Android Apps at our disposal, it’s very likely we will encounter some that just won’t work on the Pro. Developers continue to work hand-in-hand with chip makers to optimize the x86 processors for Android apps and vice versa. Sadly, the fact remains that they are behind the curve here. ARM has the advantage when it comes to handling Android and that likely will not change. I love having Android App access on my Acer’s but honestly, I usually default to my phone for things of that nature. I do web design. I create graphics. I have insanely large amounts of tabs open while streaming music and chatting in multiple Hangouts. For that, the Intel chips just work better. This may not be the answer you were looking for but I hope that maybe this will help when it comes time to decide on a new device. As I stated earlier, we will be doing a lot of testing over the next few days and weeks and hopefully we can shed some more light on this mystery. Is there a particular app you would like to see us test? Drop a comment below or shoot us an email. We’d love to hear what you’ll be using your Chromebook for when the Play Store finally arrives.